It has high concentricity, sharp edge. It is recommended to do precision 3 D carving processing. High density MDF, wood is recommended to use edge milling cutter. The multilayer board and plywood processing are recommend using double edge straight slot milling cutter. Precision small anaglyph processing is recommended using round bottom knives. MDF cutting processing (advertising mould opening) is recommended to use double blades rowed spiral cutter. it has two high-capacity chip groove, double edge design, both has the very good chip removal function, and achieve a good balance tool. In processing high MDF, there is no black, no cap smoke. And it has long service life. Aluminum plate cutting processing is recommended using single blade special aluminum milling cutter. Non-stick knife in the processing, and quick speed, high efficiency. On the double sides burr-free cutting processing, I recommend using single blade and double blade up-down cutter. Metal sculpture processing, I recommend using single and double blade straight flute a sharp knife. Acrylic cutting processing, I recommend using single blade spiral milling cutter. The characteristic is when processing it is smokeless and odourless, fast speed, high efficiency, non-stick crumbs, real environmental protection. The special manufacturing process ensures that processing acrylic does not burst broken, very fine grain (or even no cutter grain). And the surface is bright, clean and level off. Machining surface to achieve frosted effect, it is recommended to use double three blade spiral milling cutter. Acrylic mirror engraving processing is recommended to use diamond graver. A rough machining particieboard is recommended to use multi-stripes milling cutter, etc. 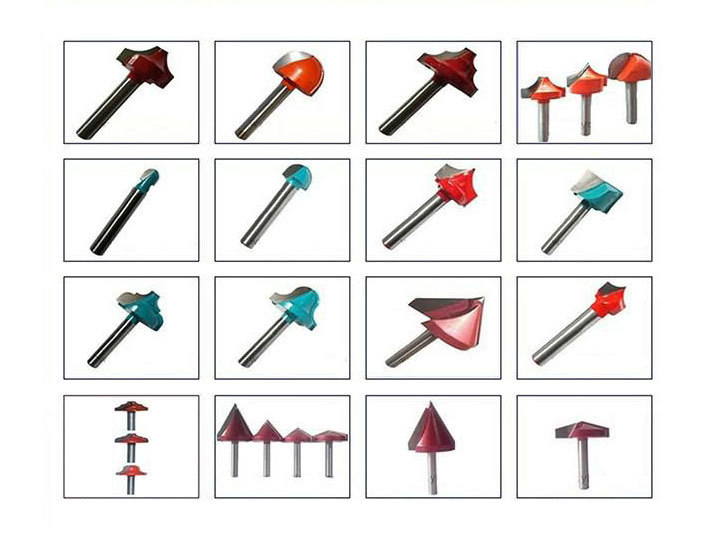 The metal mold processing and milling cutter, it is recommended to use tungsten steel milling cutter. The cutter has violet black hardened titanium plating surface. Cork, density board, the original wood, PVC, acrylic large deep anaglyph processing, I recommend using single blade helical ball end milling cutter. The use effect of incised cutter processing is product surface without burr, And it won't become warped plate processing. These are the the detail of the tool choosing. If you have any question, please feel free to ask me. License: The text of "How to choose the tools of the CNC router and CNC cutter" by STYLECNC is licensed under a Creative Commons Attribution 4.0 International License.